Carrie Underwood is my favourite country singer. She is young, beautiful and charming woman in her 30s. Her voice takes me away from all problems of this world and I start enjoy my life and listen songs created by her voice. Now the singer is on a Cry Pretty 360 Tour started in May of 2019. The concerts scheduled for the whole 2019, up to the 31st of October. Ticket prices are moderate and available for all men and women with different income. If you love contry music, then you must visit at least one Carrie’s concert. All tour dates are available at the Carrie Underwood tour LA. Open the website and make yourself familiar with all Carrie Underwood concerts in 2019! Derrell is FANTASTIC! He makes a good impression, very informative & professional. We will continue our contract of heating & cooling. Because of the wonderful service we get from your company! My family has depended on Schultheis Bros for more than 25 years and have been satisfied for them exceeding our expectations on all visits. Our most recent visit was today 1/16/19. Our preventative maintenance furnace visit was completed by Derrell. He represented Schulteis professionally and courteously. He was extremely informed on the process and answered each of our questions and provided informed responses. His manner and respect throughout his visit today were exemplary. We’ve had success with each of their tech visits but were so impressed with Derrell that we will request him on future appts. On November 7, 2018 Tony and Nate installed a Trane Furnace and Electronic Air Cleaner in my home. I just wish everything went this smoothly. Basically, I sat upstairs and watched TV while listening to constant work for just over four hours, and at the end of the four hours the new furnace simply perfectly appeared in my basement. In addition, they cleaned up a couple of other things from a previous installation, related to ductwork and excess wiring, things I requested during the sales visit. Tony was also the salesperson for this furnace, and he mentioned that he had been an installer and sometimes still fills in during a pinch. I requested him – and thank you so much for sending him. In recent years I’ve had to have a lot of things done to my older house. And honestly, being the recipient of such professionalism for a big job like that is just a joy to experience – like an art. I really appreciate it. Darryl and Derrick just finished installing the furnace and AC I choose from the 3 systems Rocco O suggested. Gina and Rocco worked with me to schedule a meeting with Rocco during my lunch break from work. Rocco was very professional and thorough in his recommendations. Darryl and Derrick arrived when scheduled, immediately got to work and were polite and extremely respectful of my home. They explained my new system to me and cleaned up afterwards. Thanks to all at Schultheis Brothers for such terrific service! Our Ac quit and we contacted a different company. They took 2 trips to tell us we needed a new unit. We contacted Schultheis and they came out the same day. Gave us a better quote on a better unit and installed it 3 days later. The tech guy was very good and professional.He also completed the job single handedly in 1/2 of a day. we are very satisfied.Should have called them first. Used Nate & Ben. Very professional, kind, knowledgeable and respectful of the property. Kept everything neat and clean, definitely felt comfortable and safe with them working in my home. Overall work product was done well and a very reasonable price. Would highly recommend. Eric came to my home to fix my air conditioner. He was very professional and extremely knowledgeable. He explained everything clearly and was extremely pleasant. As an owner of my own business, I know how important it is to have your employees represent you in a positive manner. Eric certainly did! Ben & Nate are great service professionals- it was a two day job. They were early both days. Kept me informed during the process. I highly recommend. Professional and beyond!!! Rocco was my first contact with Schultheis Bros.; he assured us that we would get what we needed and wanted. He zeroed in and developed all the appropriate HVAC we should order. The installation technicians could not have improved in any way because they were top notch! We asked them to be on the look out for any thing else they may notice that could give us a problem. They gave us a heads up for areas that needed professional attention and it was not in their line of work. We wish we could remember all their names who came and rescued us in the middle of a very hot and humid time. We especially want to thank Gina for expediting the entire job. Not only would we recommend Schultheis Bros. to other people, but we already have. Thank you so very, very much!!! Happy with our service. Our skilled technicians love to hear about the work they did. 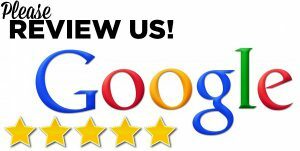 Please click on the Google or Yelp logo to leave us a review.